Lauren Matthews Interiors offers personalised service to private clients and developers in both residential and commercial interior design. Lauren Matthews Interiors offers a personalised service to private clients and developers in both residential and commercial interior design. Not only do we strive to deliver beautiful bespoke interiors, we concentrate on fulfilling functional and comfortable spaces for our clients and their visitors. Our aim is to ensure our clients feel at ease, offering designs that suit their personal taste and lifestyle, whilst welcoming their involvement throughout the design process. Looking at spatial planning and suggesting any structural adaptations that may be required to new build or renovation projects. 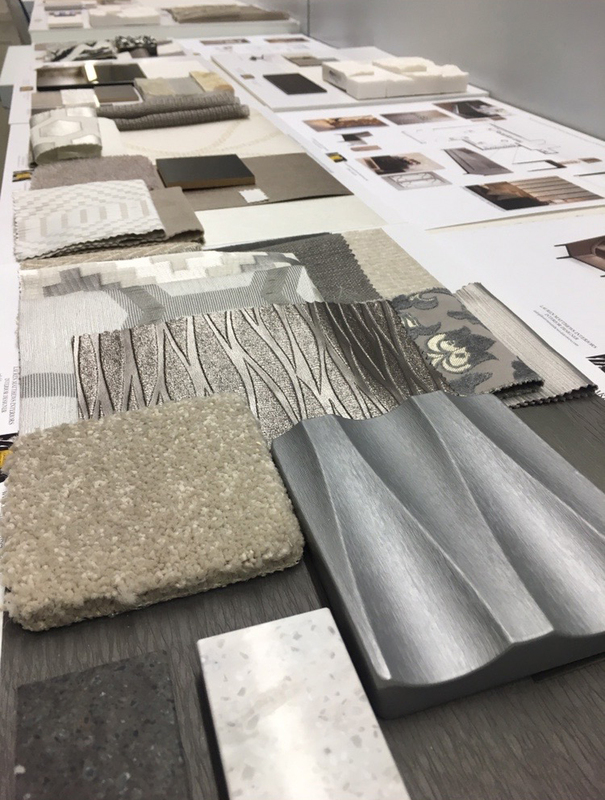 We can source and procure anything from flooring to wallcoverings, aquariums, artwork, furniture, accessories and lighting to every sized project. From understated storage, to high-end luxury kitchens, we design and produce a vast range of bespoke joinery items including bathroom vanities, integrated wardrobes and media walls with consideration to every last detail. We collaborate with property developers to market show homes to their best potential, creating comfortable and desirable spaces. We work on projects from conception right through to completion and offer a complete turn key service, including the dressing of beds and dining tables should our clients wish. Our in-house CGI specialist can create a full set of 3D computer generated images to help our clients visualise our design proposals from all angles. We can implement the correct finishes, scales and lighting to create a true representation of the design scheme. Our conversation begins at the project premises or our Gunwharf Quays based offices for a no obligation discussion. At this visit, the client brief and budget will be established and we will outline the services available. After this initial meeting, a written scope of works proposal will be sent, outlining the agreed timescales, budgets and services. On gaining insight in to our client’s lifestyle and personal taste from the briefing stage, we can advise on spatial planning, incorporating storage and furniture layouts to enhance the functionality and aesthetics of any space. Scaled floor plans will be produced (if not already available) with space planning (interior architecture) and furniture placement suggestions. 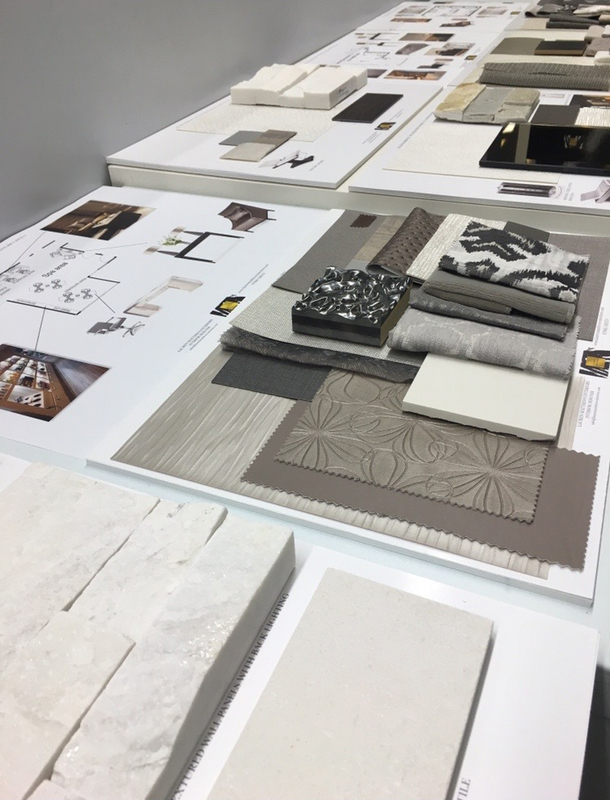 Mood boards with colour palettes are created with concept images to convey the overall design. This is presented along with a detailed schedule itemising breakdown costs. At this stage, realistic imagery can be computer generated to offer our clients a true insight to the newly designed space. With a full concept design in place, the interior architecture and design will be fully developed with finalised floor plans incorporating lighting and electrical layouts, detailed joinery drawings and final finishes and fixtures to the finest of detail. We work with an extensive selection of specialist suppliers who we have established a strong and reliable working relationship with. Offering the finest interior finishing’s, furniture and fittings for our client’s budget. We order, monitor and inspect each purchase. Leading on from purchasing, we will project manage the installation of all deliveries and ensure that every item arrives as it should in perfect condition and on time. We can then dress your property with agreed accessories, to offer the perfect turn key service if required.